I just finished this 2 weeks ago. Dedicated simracing pc! 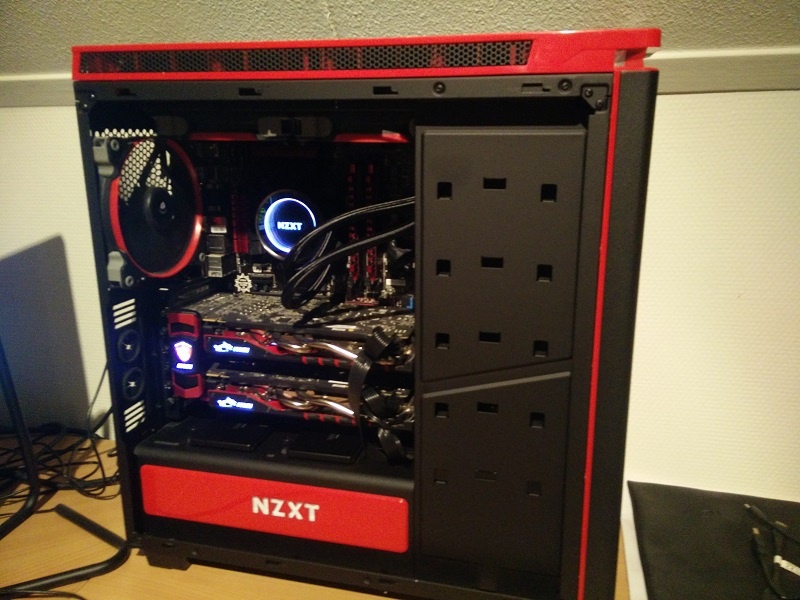 Got it second hand for 380 euro's, I still had the GTX950 on the shelf, cleaned up the cables, and installed Windows 7 on it. Runs great. The motherboard doesn't have a connector for the USB3.0 ports on the front, so I ordered a PCI-e x1 expansion card for that. And it the case and cpu fan are loud and rattling, so might change those out. Last edited by TheCaptain; 27-03-2018, 05:37 PM. 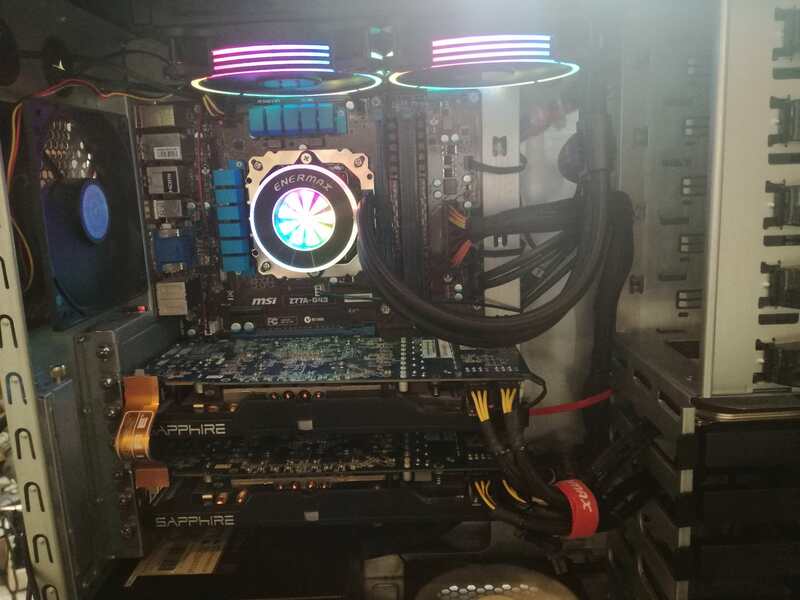 So I just did some stuff to the PC that makes it worth looking at (finally), not the most powerful, but it's my old budget gaming PC that has been modified with some better stuff as years goes by. Looks good! Nice cable management aswell, given the case you have to work with. I'd change to a case with black interior and see if you can get a solid Crossfire bridge, those flexible ones just don't do it for me. I received my new case (quite some time ago, Fractal design define r6), went ahead and bought pretty much everything I need to fully build a custom watercooled gpu system (going to modify these ones), expandable later obviously. 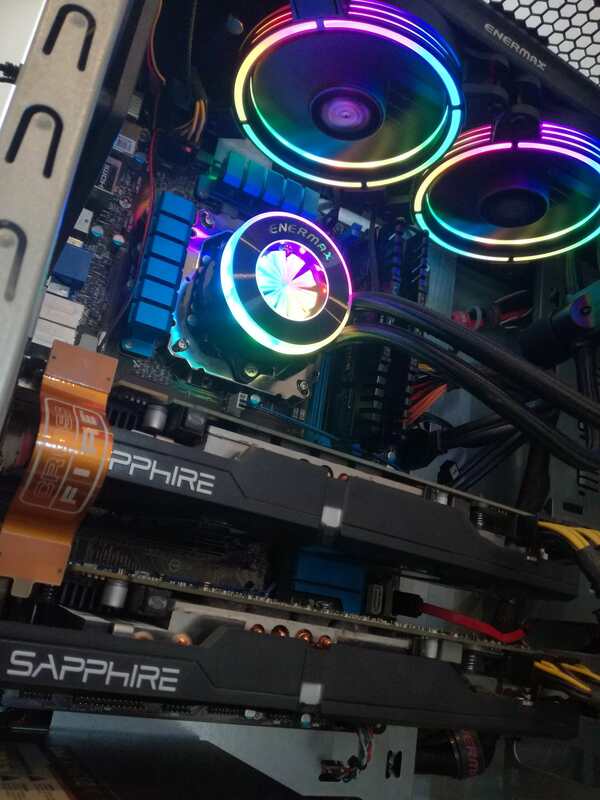 I'm going to try to fully make a hybrid mod for the graphics cards qith a new fan/waterblock system. Ive been working on this PC for quite a few years upgrading it as i went, i really want to upgrade the Mobo, CPU and RAM but just cant justify getting rid of perfectly good parts while they are still working great for what i use my PC for. 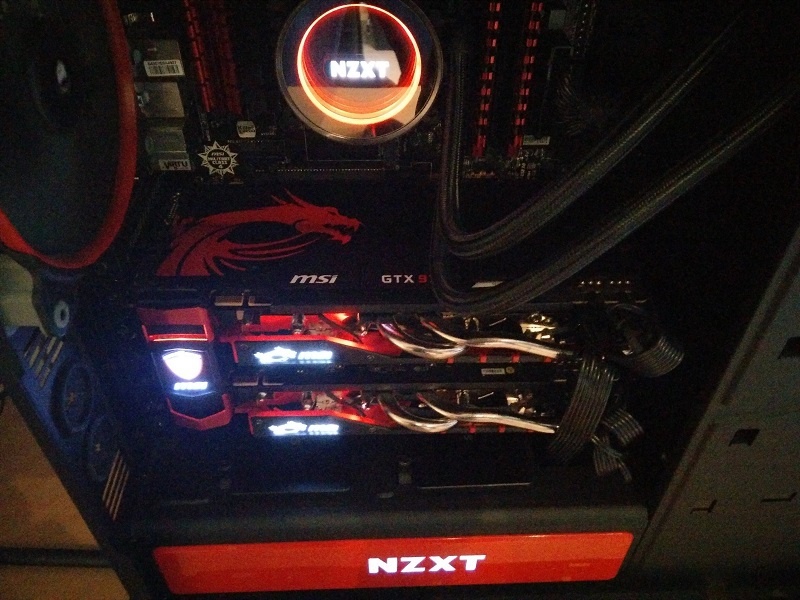 I had the old rig posted somewhere in the previous thread but this is my build from 2016. HDD: 3TB Seagate Barracuda + 500GB Seagate 2.5"
Main updates were the cooling system and the 1080 I had to wait 3 months for (first one also had to be DOA) while running on an HD6990. Used the old Corsair H50 for a month before a Fractal Kelvin S36 arrived, used it for less than a month and it already had air in the loop... Which is where the open loop comes in, originally I was gonna buy everything separately but the EK-KIT saved a lot of money, in exchange for not having purple fittings. I just added in a drain valve and had to create a custom HDD mount as the case wasn't that spacious after all. Recently finished upgrading the audio stuff too, for now, so future plans are most likely an ultrawide monitor and further on some kind of a storage solution. Last edited by TheCaptain; 01-02-2019, 05:14 AM. Latest addition: GTX970 backplate, didn't even know you could get these as separate parts! Looks great! Last edited by TheCaptain; 01-04-2019, 09:02 PM. All times are GMT+10. This page was generated at 04:33 PM.